The madrigal is the most important secular vocal genre of the Italian Renaissance. Popular throughout most of the sixteenth century, its success continued until the early seventeenth century, thus serving as a “laboratory” (etymologically the “workplace”) for avant-garde composers. It was one of the musical forms therefore that symbolised the ideal of the Renaissance, and the vehicle by which the Baroque musical language was formed. Claudio Monteverdi’s eight madrigal books alone show many aspects of this shift between “prima prattica” and “seconda prattica”, between the aesthetics of the Renaissance world and that of the emerging Baroque world. The last years of the sixteenth century are marked by a great diversity of styles with composers such as Andrea Gabrieli, Luca Marenzio, Carlo Gesualdo, Luzzasco Luzzaschi and Claudio Monteverdi in particular. What characterises the madrigal of this period is above all an increased theatrical dimension. At this crossroads the controversy around vocal technique and the role of the singer was lively. Caccini, in his preface to Nuove Musiche, explained that singing must be about attitude, “leggiadria” (beauty / lightness) and “sprezzatura” (nonchalance – which hides artifice) at the service of eloquence. 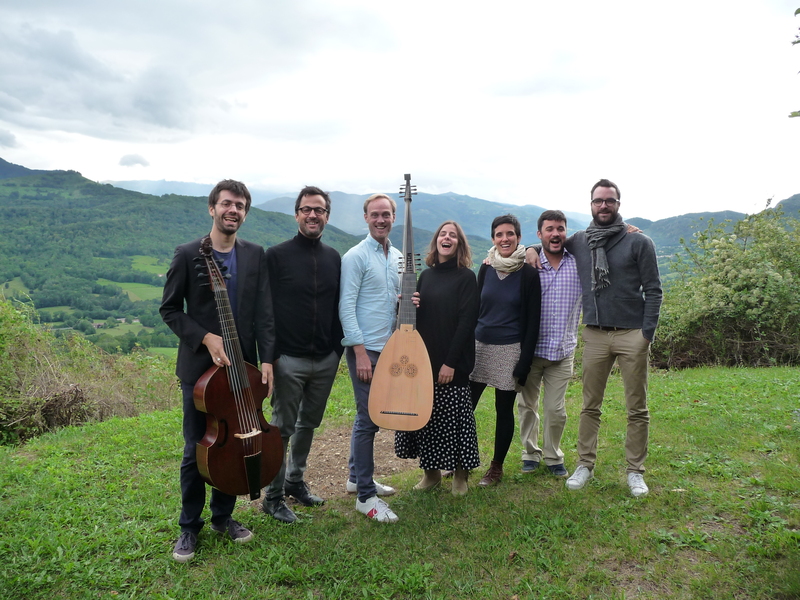 It is based on these testimonies that the musicians of La Main Harmonique strive to create the freshness, the tempo, the exteriority and the fluidity of the literary discourse. Monteverdi himself said that the ultimate goal of music was emotion “Where better than in our amorous state can we perceive these “affetti”? It is in this “stato amoroso” that the subtle transformations of the soul take place.